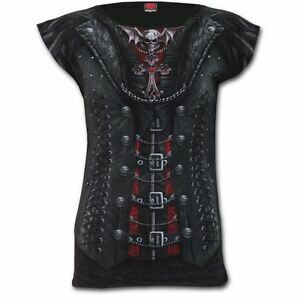 A beautifully realistic print of a corset design with lace and buckle detailing to the sleeves. Print on back shows black ribbons criss-crossing, completing this gothic stroke of pure seductive elegance. Immediate payment of £17.98 is required.